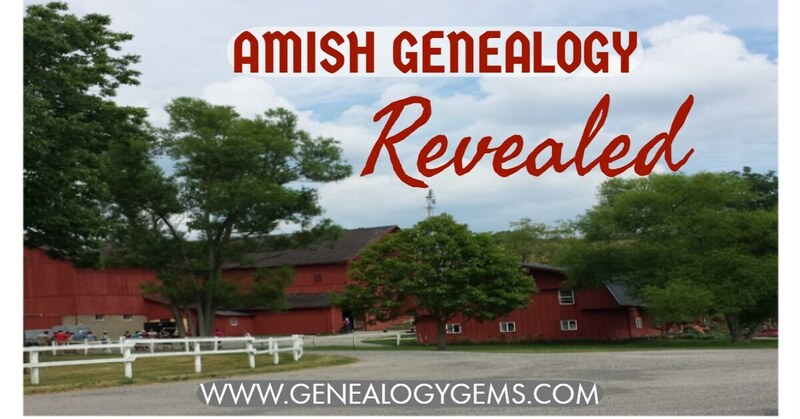 Amish genealogy is revealed with Facebook! Well, sort of. I made a recent visit to Amish country and I couldn’t resist talking genealogy with my new friends. 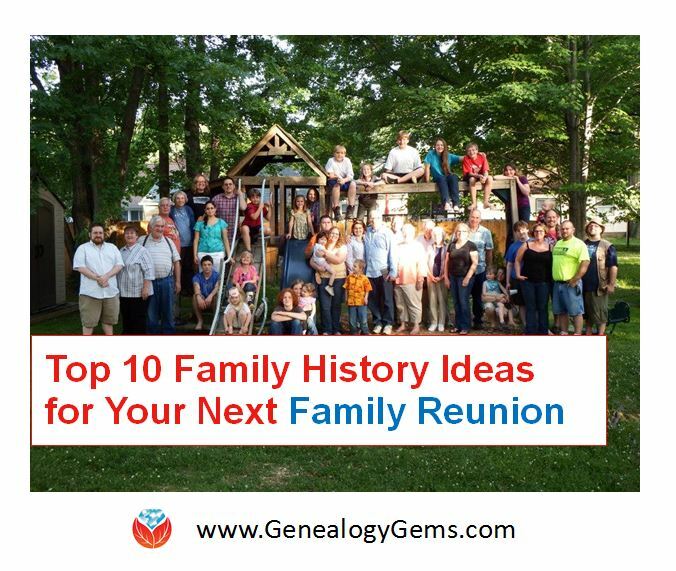 I learned a lot about resources for family history and gained invaluable insight that I’m here to share with you. If you have Amish or Mennonite heritage in your family history, you won’t want to miss this amazing information! 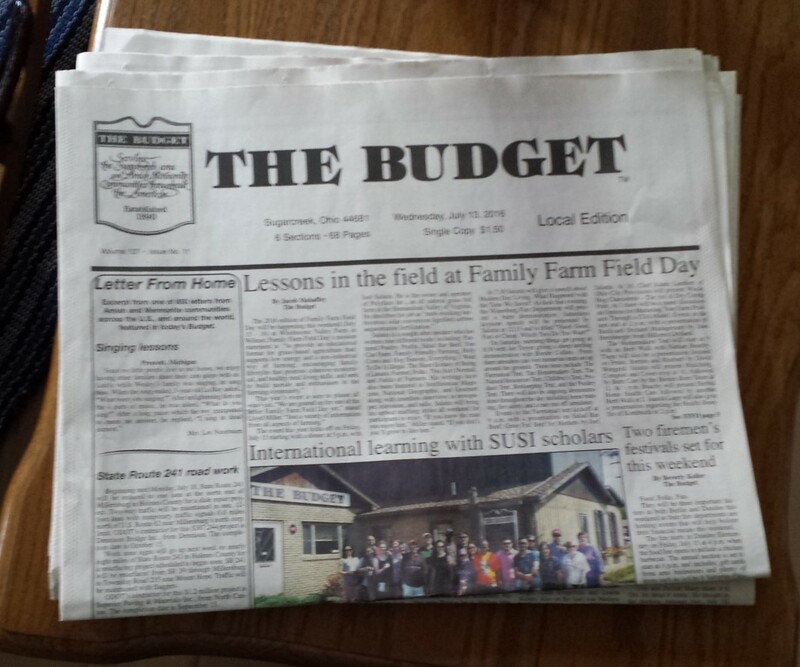 The Budget is the Amish newspaper our guide wittily referred to as “Amish Facebook.” However, this Facebook alternative has been around since 1890! The Budget covers news from all over the United States and Canada pertaining to the Amish and Mennonite communities and families. Who just got married, who had a baby, and who recently passed away…it’s all in there! Each weekly edition comes out on Wednesday and the cost is $1.50 per paper. However, you can save by signing up for a 6-month, 1-year, or 2-year subscription. They have local and national editions and you can check out all the subscription prices at their website here. Local public libraries in the area may have copies of The Budget in their archives or on microfilm. Be sure to call the library and speak with someone in the history or genealogical department to determine what is available. You may be thinking, “Wait a minute. I didn’t think the Amish liked having their pictures taken.” But you will actually find many nice pictures in The Budget. I learned not all Amish and Mennonite’s have the same rules about photography. Often, rules about photography, clothing styles, and even the types of dolls a child has are determined by the Bishop and church leadership of that district. I was delighted to also learn The Budget has its own traditional Facebook page, too, where I could keep up with some of the local news. The Amish churches are divided into districts. A district may cover more than one county. They are not necessarily based on county or town borders, but rather encompass about 50 families in a given vicinity. Most Amish families are listed in a church directory for their area. Not all districts find a directory “important,” said my guide. My new friend at Yoder’s Amish Farm also shared with me the genealogical value of such a directory. He said the directories came out “most every year” in his district, though not all districts publish yearly. By using the directories for any given district, you could easily piece together a very accurate family genealogy. The directories are listed by surname of the head-of-household. Each family listing includes their home address, which is particularly helpful to the many local government agencies, my guide mentioned. Each member of the family is listed by first name and birth date. Marriage dates and death dates, if applicable, are also included. If there has been a second marriage involved due to widowhood, the deceased spouse and the couple’s children are also listed. Maps are also found in the church directory so you can keep track of where all the cousins are living! Directories can be purchased by anyone and are often found at local dry-goods stores within the communities. 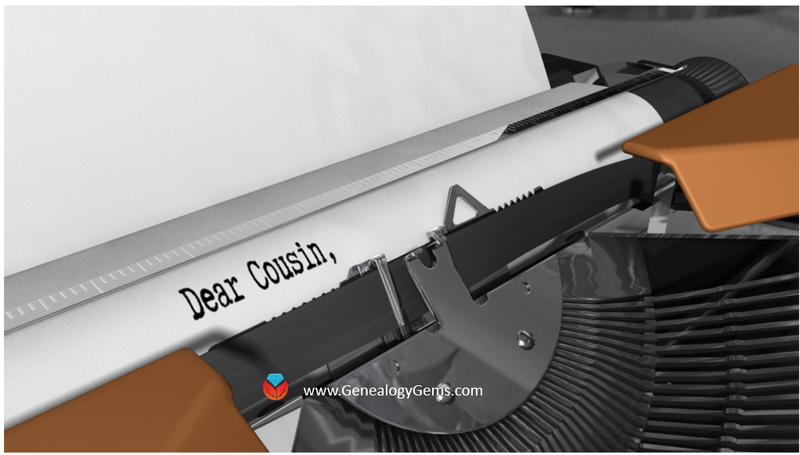 You may be interested to know that many family history books or published newsletters exist for Amish family genealogies. You will most likely find these books and newsletters at a local library. Sometimes, they are available to purchase from local dry good stores in the area. Even better yet, try Google! I Googled Amish Yoder Family History and learned about the Oregon Mennonite Historical and Genealogical Society newsletter. It was packed with great information! The large bound volumes of Amish genealogy may hold thousands of names and dates. Many begin with a detailed history of who came to America, or who came to a given state or area. Then, it will map out for you the family branches. 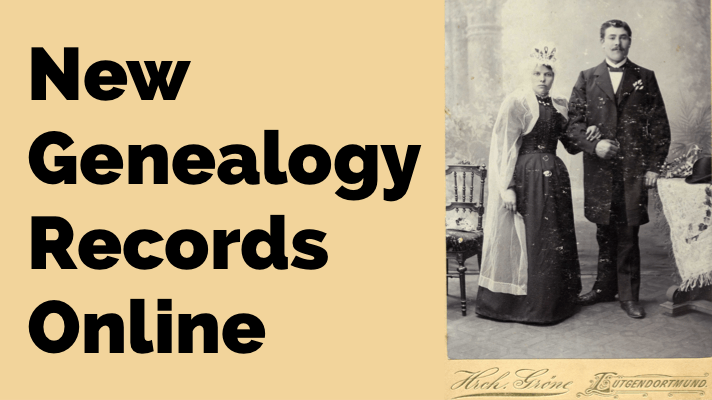 Using a few of these wonderful sources may help you trace your genealogy farther than you ever imagined. Happy hunting, friends! Discover even more ancestors with Google! 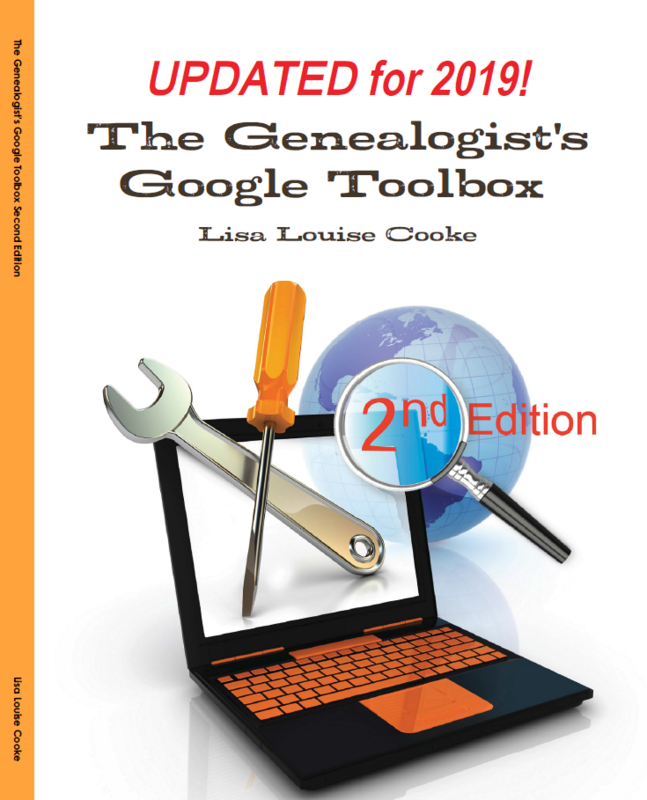 To learn more amazing techniques about using Google for your genealogy research, check out Lisa’s The Genealogist’s Google Toolbox, Second Edition. It is your go-to resource and it was just recently updated for 2019! The update includes corrected links and resources to replace any outdated or defunct information. You’ll learn more about all the Google tools you need to master to aid you in your family history. Better yet, after you learn how to use these tools for family history research, you’ll find yourself using them to find all kinds of things! Click here to grab your copy of the book today. This article was originally posted on August 29, 2016 by Amie Tennant. It was updated on April 5, 2019. I just returned from a week-long genealogy research trip to Ohio and discovered the Brethren Heritage Center in Brookville, Ohio. German Baptist Brethren are not Amish, but they are both offshoots of “Anabaptists.” My mother mistakenly always referred to some ancestors as “Amish” and I only recently learned the difference. This Heritage Center is a goldmine of info. Obituaries of members are published in their church publication, and I came away with lots of records. The GBB also have a research library/archives in Elgin, Il. and Ashland, Ohio. Perhaps this info. will help someone else. One of the challenges of Amish-Mennonite genealogy is the enormous amount of endogamy in the histories of families, with numerous individuals, who all bear the same name (Jacob Yoder, for example), related to each other in multiple ways. I am my own cousin 13 times on my Amish side of the family. The bible of Amish genealogy, “Amish and Amish Mennonite Genealogies” by Hugh F. Gingerich and Rachel W. Kreider, is absolutely the best resource for researching Amish lines back to the original 18th century immigrants and untangling those names and relationships. The book is a super-genealogy that integrates the descendants of all of the known Amish immigrants up through 1850, some 200 surname families, when it becomes easier to follow them in the US Federal census. The book is found in major genealogical libraries and in local libraries where Amish and Mennonite populations are concentrated. It is also available for purchase (although relatively expensive) form Masthof Press in Morgantown, PA.